I've gotten two more quilts bound! Woo Hoo! First up is my Potluck quilt. I asked my aunt to quilt it with an orange peel design and she did an AMAZING job. It is perfection. Exactly as I had pictured in my head. I added a black and white striped binding that is just the icing on the cake. Here it is all washed and crinkly. Next is my Lucy's Crab Shack quilt. It is quilted with whimsical little loops. So cute. 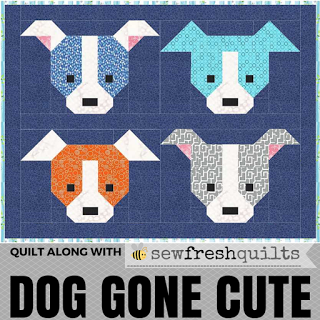 Can't beat a scrappy quilt! Love them both. Love the quilts, and definitely that orange peel quilting! The loops are so cute too, I love how they pop in the negative space.